Tusker will launch their campaign of the 2018/19 Kenyan Premier League season with a trip to Kericho County this weekend. The Brewers will be hoping to kick off their campaign with a win when they are hosted by Sony Sugar on Sunday afternoon. The 11-time League winners, who last lifted the domestic title in 2016, have set the main objective of improving on their third place finish last season; even possibly mounting a credible challenge to dethrone favorites and current holders Gor Mahia. K’Ogalo lifted the title for the second consecutive year last season, and the fifth time in six years, to further reinstate their position as the kings of Kenyan football. The 17-time winners finished off the season on 75 points; a staggering 19-points adrift of Tusker who closed off the season in third. Despite finishing in the top three, Tusker had endured a tumultuous start to last season; winning just two of their first eleven games of the season that lead to the inevitable dismissal of head coach Sam Timbe barely four months into the job. The sacking of the Ugandan tactician however paved way for the appointment of Robert Matano on an interim basis until the end of the season. Fondly known as ‘The Lion’, Matano is no stranger to Kenyan football, as he famously inscribed his name in the annals of rich history by becoming the first coach to ever win the KPL title with a newly promoted team when he propelled Sofapaka to Premier League glory 2009. What’s more, Matano had previously worked with Tusker, as he guided the Brewers to their tenth Kenyan Premier League title in 2012 during his first stint with the club. Although Matano had taken over a side that was stuck in the middle of the table and struggling to cope with the loss of key players to rival clubs, the veteran coach still managed to register a third place finish; a result they will certainly be looking to improve on this season. One such way of working towards meeting that goal has been through the acquisition of new signings. Tusker have signed former Sofapaka Ugandan import Rogers Aloro, whereas striker George-Bill Oporia has joined the club from National Super League side Ushuru F.C. Additional new faces include forward Mike Madoya, formerly of Zoo Kericho, and ex-Rwanda Police goalkeeper Emery Emvuyekune. Sony Sugar, who finished ninth on the log last season, will much like every other team, be looking to kick start the new campaign on a flying start. 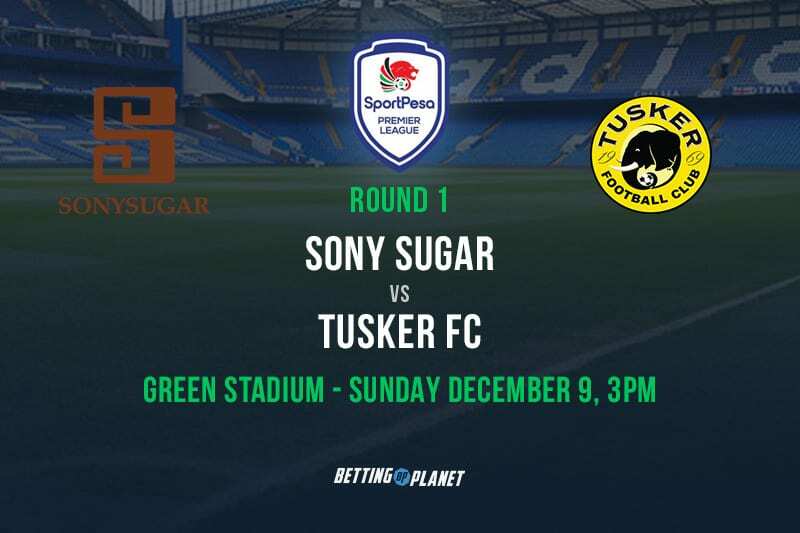 The Sugar Millers are however no match for Tusker who could give Gor Mahia a run for their money this season. The Brewers won four of their last five matches played in September and October, and should as such extend their fine into the new campaign.